One’s pride will bring him low, but he who is lowly in spirit will obtain honor (Prov. 29:23). When I was a kid, one of my favourite stories was Yertle the Turtle by Dr. Seuss. Yertle said to himself, “If I could sit high, how much greater I’d be! What a king! I’d be ruler of all that I see!” Yertle lifted himself up (on a stack of hundreds of other turtles), but eventually he had a big fall. The irony of pride and humility is seen in Proverbs 29:23, which says, “One’s pride will bring him low, but he who is lowly in spirit will obtain honor.” When a person is arrogant, people want to see that person, but when a person is humble, they want to see that person honoured. Pride lowers us, and humility lifts us up. Ray Ortlund puts it this way: “Pride humiliates us, and humility honors us.”  This is a theme found in Proverbs and throughout the rest of Scripture. “Toward the scorners he is scornful, but to the humble he gives favor” (Prov. 3:34; cf. James 4:6; 1 Peter 5:5). “When pride comes, then comes disgrace, but with the humble is wisdom” (Prov. 11:2). “The fear of the LORD is instruction in wisdom, and humility comes before honor” (Prov. 15:33). “Pride goes before destruction, and a haughty spirit before a fall” (Prov. 16:18). “Before destruction a man’s heart is haughty, but humility comes before honor” (Prov. 18:12). “The reward for humility and fear of the LORD is riches and honor and life” (Prov. 22:4). Bruce Waltke describes humility as “the renunciation of human sufficiency.”  In the parable of the Pharisee and the tax collector (Luke 18:9-14), the tax collector renounced his human sufficiency (“God, be merciful to me, a sinner!,” v. 13). But the Pharisee did not (“God, I thank you that I am not like other men,” v. 11). Jesus concluded the parable by saying, “Everyone who exalts himself will be humbled, but the one who humbles himself will be exalted” (v. 14; cf. Luke 14:11). We can’t be “justified” (v. 14) unless we humbly confess our sin and our need of a Savior. And those whom God justifies will also be “glorified” (Rom. 8:30). C. S. Lewis wrote, “Pride leads to every other vice: it is the complete anti-God state of mind.”  This is seen in Genesis 3’s account of the first sin. Adam and Eve wanted to “be like God” (v. 5). Pride is difficult to see in ourselves, but it’s easy to see in others. We all struggle with pride, and pride leads to the following sins: boasting, looking down on others, living for the praise of others, ungratefulness, not listening to advice or correction, and refusing to repent. Of course, you can be proud of someone or something without sinning. It's good to be proud of your child. But if you say to yourself, "Look at how good my son is. I'm a much better father/mother than the other parents I know," that's sinful pride. Humility is very elusive. Many people who think they’re humble are actually proud of their “humility.” We are not naturally humble. How can we become more humble? 1. We must remind ourselves that every good thing we have we owe to God's grace. Most prominent among God’s blessings is our salvation. To the Ephesian believers, the apostle Paul wrote, “By grace you have been saved through faith. And this is not your own doing; it is the gift of God, not a result of works, so that no one may boast” (Eph. 2:8-9). But we should boast about what Christ has done for us: “Far be it from me to boast except in the cross of our Lord Jesus Christ” (Gal. 6:14). Paul wrote to the church at Rome, “I say to everyone among you not to think of himself more highly than he ought to think” (Rom. 12:3). Pride is thinking too highly of ourselves. But being humble isn’t saying, “I’m a nobody.” It’s saying, “I’m a somebody because of God’s grace.” As Paul writes in 1 Corinthians 1:31, “Let the one who boasts, boast in the Lord” (cf. Jer. 9:23-24; 2 Cor. 10:17). 2. We must remind ourselves of the astonishing humility of our Lord. The apostle Paul wrote to the church at Philippi, “Do nothing from rivalry or conceit, but in humility count others more significant than yourselves” (Phil. 2:3). He encouraged them to be humble by reminding them that Jesus, the God-man, “humbled himself” (Phil. 2:8). From beginning to end—from the manger to the cross—his earthly life was one of humility. Jesus said, “The Son of Man came not to be served but to serve, and to give his life as a ransom for many” (Matt. 20:28). On the night that Jesus was betrayed and arrested, he washed his disciples’ feet (John 13:5). He told them, “I have given you an example, that you also should do just as I have done to you” (v. 15). During that same meal, “A dispute also arose among [the disciples], as to which of them was to be regarded as the greatest” (Luke 22:24). Jesus rebuked them by saying, “Who is greater, one who reclines at table or one who serves? Is it not the one who reclines at table? But I am among you as the one who serves” (v. 27). We are quick to condemn the disciples for their pride, but don’t we often act the same? When we think about the humility of Jesus, doesn’t our pride seem so foolish, so awful, so out of place? Death and life are in the power of the tongue (Prov. 18:21a). Our words have the power to do great good or great evil, so we must be wise with our words. In the book of James, the tongue is compared to a small spark, and James writes, “How great a forest is set ablaze by such a small fire!” (James 3:5). Sometimes people think that a sin like gossip is a “little sin,” but it destroys churches. The book of Proverbs addresses the sin of gossip. “Whoever covers an offense seeks love, but he who repeats a matter separates close friends” (Prov. 17:9; cf. 16:28). “The words of a whisperer are like delicious morsels; they go down into the inner parts of the body” (Prov. 18:8). “An evildoer listens to wicked lips, and a liar gives ear to a mischievous tongue” (Prov. 17:4). “Whoever goes about slandering reveals secrets; therefore do not associate with a simple babbler” (Prov. 20:19). How would you answer the following question: Will a gossiper go to heaven? Jesus said, “I tell you, on the day of judgment people will give account for every careless word they speak, for by your words you will be justified,  and by your words you will be condemned” (Matt. 12:36-37). This is true because “out of the abundance of the heart the mouth speaks” (v. 34). The apostle Paul states that “revilers” (“slanderers,” NIV) will not “inherit the kingdom of God” (1 Cor. 6:10; cf. Rom. 1:29-30). How many times have you said to yourself, “I shouldn’t have said what I said”? And how many times have you said to yourself, “I should have said something”? How can we be wiser with our words? We need to think before we speak. “The heart of the righteous ponders how to answer, but the mouth of the wicked pours out evil things” (Prov. 15:28). Before we speak, we should ask ourselves three questions. 1. Is this the right thing to say? We should remember the advice of Proverbs 10:19: “When words are many, transgression is not lacking, but whoever restrains his lips is prudent” (cf. 21:23). But this doesn’t mean we should always remain quiet. Proverbs 16:24 says, “Gracious words are like a honeycomb, sweetness to the soul and health to the body.” Instead of gossiping about others, we should encourage others with our words. “Anxiety in a man’s heart weighs him down, but a good word makes him glad” (Prov. 12:25). What we say should be beneficial to others: “Let no corrupting talk come out of your mouths, but only such as is good for building up, as fits the occasion, that it may give grace to those who hear” (Eph. 4:29). 2. Is this the right time to say it? Sometimes we are guilty of speaking when we shouldn’t. Other times we are guilty of not speaking when we should (e.g., sharing the gospel). Proverbs 15:23 says, “To make an apt answer is a joy to a man, and a word in season, how good it is!” (cf. 25:11). Sometimes saying a good thing can be a bad thing if the timing is wrong: “Whoever blesses his neighbor with a loud voice, rising early in the morning, will be counted as cursing” (Prov. 27:14). 3. Is this the right way to say it? It’s better to say nothing than to say the right thing the wrong way. Proverbs 15:1 says, “A soft answer turns away wrath, but a harsh word stirs up anger.” We are to speak the truth, but we are to speak “the truth in love” (Eph. 4:15). If you can’t speak the truth in love, don’t speak. The book of Proverbs should not be seen as merely a book about good morals. We should view it as a way to follow the wise steps of Jesus. He has given us an example “so that [we] may follow in his steps” (1 Peter 2:21). Jesus was the embodiment of wisdom. When he spoke, he always spoke wise words. The people of Nazareth “marveled at the gracious words that were coming from his mouth” (Luke 4:22; cf. 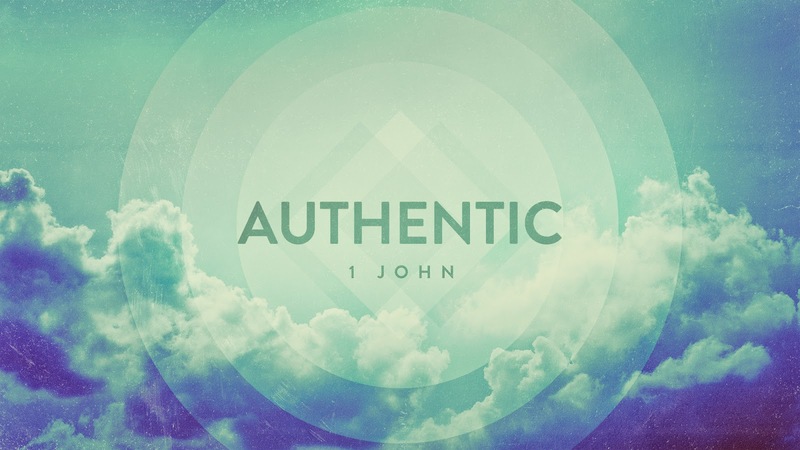 John 7:46). Sometimes the words of Jesus were very strong (e.g., “You hypocrites!”, Matt. 15:7). Jesus knew when to speak and when not to speak. The apostle Peter writes, “He committed no sin, neither was deceit found in his mouth. When he was reviled, he did not revile in return; when he suffered, he did not threaten” (1 Peter 2:22-23). Imagine how difficult it was for Jesus to remain silent. But he remained silent because there was something more important than defending himself: dying for our salvation. He put others before himself, so he didn’t speak. If we always put others before ourselves, how would our words change? The fear of the LORD is the beginning of knowledge; fools despise wisdom and instruction (Prov. 1:7). Back in 1990, Nintendo released Super Mario Bros. 3. If you ever come across a list of the greatest video games of all time, Super Mario Bros. 3 will probably be on that list. During the summer of 1990, the company that makes Popsicles had a contest. You could collect Popsicle points and earn prizes. (The points were printed on the Popsicle sticks.) One of the prizes was a copy of Super Mario Bros. 3. I remember my brother collecting Popsicle points that summer. (We must have eaten a lot of Popsicles!) Near the end of summer, he finally had collected enough points for the video game. He put all of his Popsicle sticks into an envelope and mailed them to the company. As he anxiously waited for his game to arrive in the mail, my brother bought a strategy guide for Super Mario Bros. 3. I'm sure the more he read the guide, the more excited he got to play the game. Finally, something from the Popsicle company arrived in the mail. He opened it up, but there was no game. All of the copies of Super Mario Bros. 3 had already been given out. My brother had a strategy guide, but no game. The book of Proverbs is sort of like a strategy guide for life. Of course, life is more difficult than a video game. But the book of Proverbs can help us make wise life decisions. What is wisdom? There is a difference between having knowledge and having wisdom. There are many smart people who are also very foolish. In the age of the internet, knowledge is abundant, but wisdom is rare. Wisdom is the ability to make good decisions based on knowledge. It could be said that wisdom is skillful living. The book of James is often call the NT’s wisdom book. James 1:22 says, “Be doers of the word, and not hearers only.” Having knowledge (hearing) without also having wisdom (doing) is not living skillfully. Wisdom begins with an affectionate reverence for God. “The fear of the LORD is the beginning of knowledge.” The fear of the LORD is like a foundation. When you build a house, you begin with the foundation. But you never stop needing the foundation. Why should we have an affectionate reverence for God? The gospel stirs us to not only revere God, but also love him. When we revere and love God, we desire to obey his commands. The book of Proverbs provides wisdom for obeying God’s commands. Proverbs 1:7 also says, “Fools despise wisdom and instruction.” Why should we choose the path of God’s wisdom? 1. 1. Living wisely is the best way to live. Consider how better (not necessarily easier) our lives would be if we (and others) always followed the wisdom of God. According to Proverbs, it’s wise to work hard: “He who gathers in summer is a prudent son, but he who sleeps in harvest is a son who brings shame” (Prov. 10:5). It’s wise to be humble: “When pride comes, then comes disgrace, but with the humble is wisdom” (Prov. 11:2). It’s wise to listen to others: “The way of a fool is right in his own eyes, but a wise man listens to advice” (Prov. 12:15). It’s wise to speak kind words: “There is one whose rash words are like sword thrusts, but the tongue of the wise brings healing” (Prov. 12:18). 2. Living wisely makes us resemble Christ. Luke 2:40 tells us that Jesus became “filled with wisdom” (cf. 2:52). Solomon was wise, but Jesus declared that he was “greater than Solomon” (Luke 11:31; cf. Matt. 12:42). Jesus is “the very incarnation of wisdom.”  (Many scholars believe that the personification of wisdom in Proverbs 8 is a description of Jesus.) Jesus was also a teacher of wisdom. Proverbs 4:9 says that wisdom “will bestow on you a beautiful crown.” “Wisdom is the grace of Christ beautifying our daily lives.”  When our lives resemble the beauty of Christ’s character, we become effective witnesses for the gospel. All of us make foolish decisions. Not all of our steps are wise. And, unlike a video game, life doesn’t have a restart button. Proverbs gives us wisdom for our relationships, work, wealth, and words. We can’t change the past. 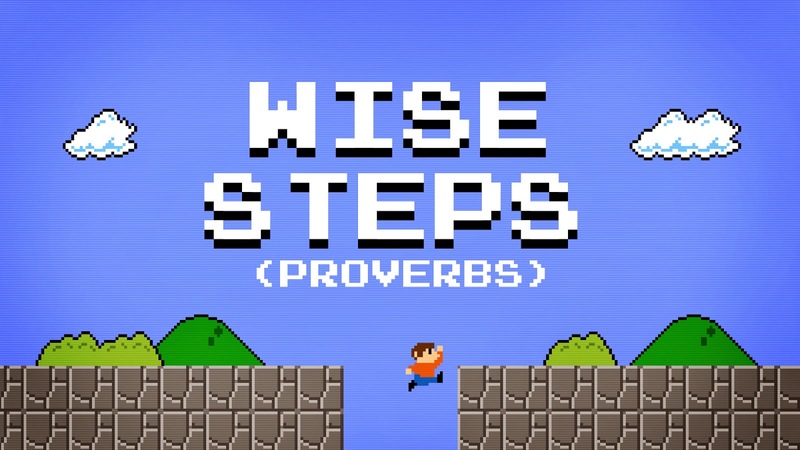 But hopefully our study of Proverbs will help us take wise steps. Bruce K. Waltke, The Book of Proverbs: Chapters 1-15, 100. Derek Kidner, The Proverbs: An Introduction and Commentary, 59. David A. Hubbard, The Preacher’s Commentary: Proverbs, 48. Raymond C. Ortlund Jr., Proverbs: Wisdom that Works, 17.